Choose a hotel in Furore for a marvellous holiday on the Amalfi Coast, the place where you can find yourself, discover peace, tranquillity and simplicity in front of an amazing landscape. Overhanging rocks, vegetation clinging to sheers, waves breaking with frenzy into the shores, the deep blue of the sea and the little beach disseminated of boats, made this village a little natural and striking paradise. 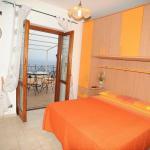 Furore Hotels are equipped with good facilities and amenities to make the most of your stay discovering the beauties of the Amalfi Coast. Select travel dates, find out the rates of the hotels in Furore and choose the hotel checking out guests reviews. Book your favourite accommodation with no pre-payment. All rates are in Euros and inclusive of all taxes. The Fjord of Furore is a natural inlet, where the sea weaves, bubbles with a never- ending rush, that seems to have given its magic and odd name to this country. Setting of various adventures, sailors shelter, pirates' hideout, it inspired Roberto Rossellini with his masterpiece Amore, shooted just along the steps at the back of this fjord. Situated on the Fiord of Furore, one of the most beautiful places on the Amalfi Coast, the Locanda del Fiordo, welcomes you in a panoramic place, with magnificent views on Capri and Amalfi. 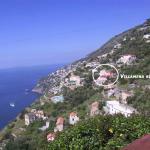 Hotel Bacco, 3 star family-run hotel, is situated among the hills of Furore and overlooks the Sea of the Amalfi Coast. Surrounded by vineyards and gardens, this is the ideal place for a quiet holiday.